Using Olapic is really easy. Bridal couples register at Olapic.com and upload their wedding guest list email addresses. 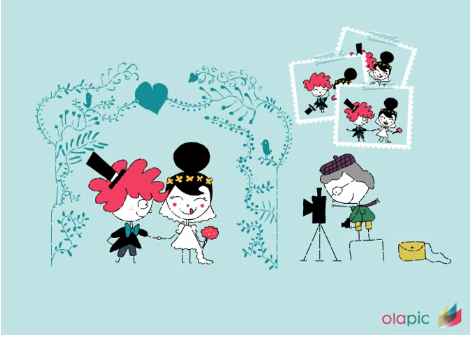 Olapic will remind your guests to bring their cameras and upload pictures to the website after the special day. Once that is done, the bridal couple can view and order pictures of your special day, invite other guests to view the pictures and much more. Check out Olapic.com, it’s a great way for you to capture all those memorable moments of your wedding day.